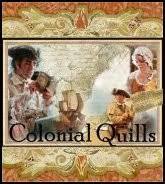 Colonial Quills: Why Not Thirteen Months? I recently had the pleasure of escorting some family members to one of New York's historic forts. Some of you may recall seeing photos of two grandsons having the time of their lives at Fort Niagara this past spring. When I learned there was a Revolutionary War reenactment at Fort Ontario, in Oswego, NY, I thought it was a good opportunity to give the girls a chance to dress up too! Unfortunately, August is my craziest month of the year and we went with less than period-appropriate costuming. The little one wore a hand-me-down Regency dress (yes 1812) and the older one wore... gasp... I can barely admit this... a polyester 'colonial girl' costume we grabbed from Amazon. If you know how much I love to sew and make costumes, you'll know how this bothered me! But what was important? Having fun and learning history. We couldn't have had a better day for it! And that day even Granny learned something when we had the pleasure of chatting with and learning from a Seneca man. He brought a large pack full of items, and after the kids sat at his feet to listen, a a larger group of people gathered. So, my reference to thirteen months? 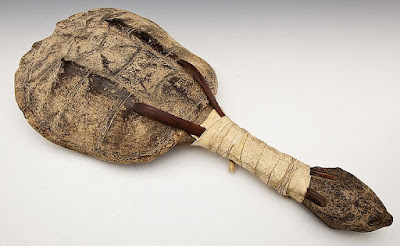 Do you see this snapping turtle shell made into a ceremonial rattle? Our instructor said he was a 'Twisted Hair' and though he didn't have curls, he explained it denoted him as a medicine man or shaman. The very long neck of the snapping turtle is splinted as it dried to use as a handle, then reinforced. 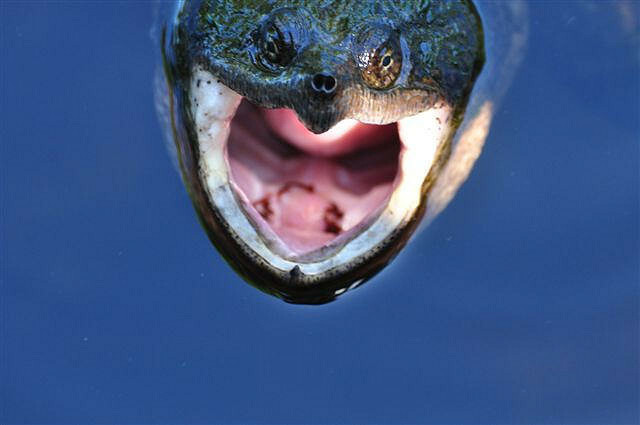 If you've never had the pleasure of seeing a snapping turtle in person, you might be surprised at the length of their neck! While they are pleasantly cordial in the water, never try to make friends with one on land. Best to watch and enjoy! SNAPPING refers to how quickly they could break off your finger! 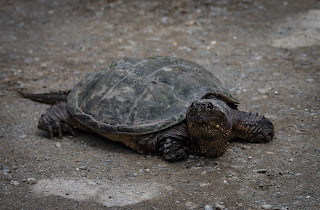 While some say the safest way is to carry it by the tail, that can cause injury for the turtle. Our teacher at Fort Ontario described how he might use the rattle in a healing ceremony and then pointed out that the shell could also be used as a calendar! How cool is that? The main part of the shell has thirteen segments. The smaller edge segments number twenty eight. Now, I can't tell you any good reason why we have twelve confusing months with varying number of days in them. Is Rome to blame? The Haudenosaunee people, like most 'first people' of the Americas (and around the world) simply used lunar months. Thirteen moons and twenty eight days apart. I don't know how 'leap year' day works into this formula, but I like a nice straight and logical idea like this turtle shell calendar! It was a fun day. I'd love to hear what you think about the 13 calendar month! That sounds like a fun day! 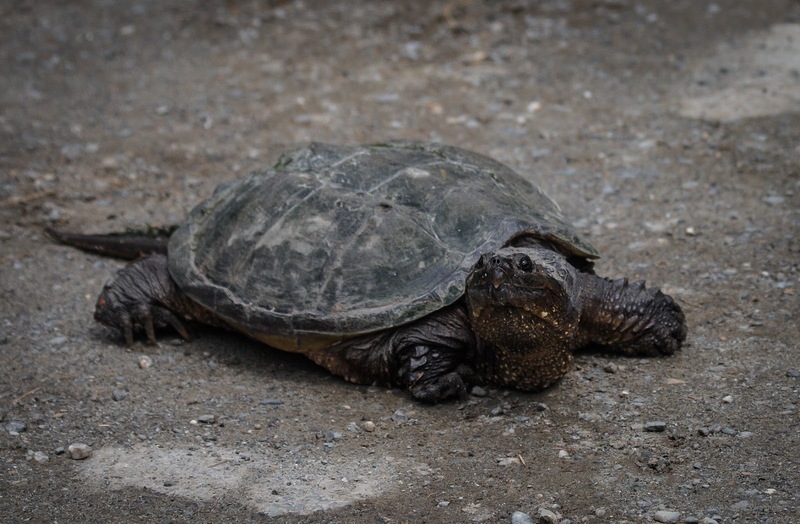 We are acquainted with snappers because we live behind a bog and the painted and snapping turtles ventured out in the spring to our yard and laid nests. I don't think the hot dry summer was conducive to turtle nests. We've yet to see any hatchlings. Hello Debra. I am a Pastor from Mumbai, India. I am glad to stop by your profile on the blogger and the blog post. 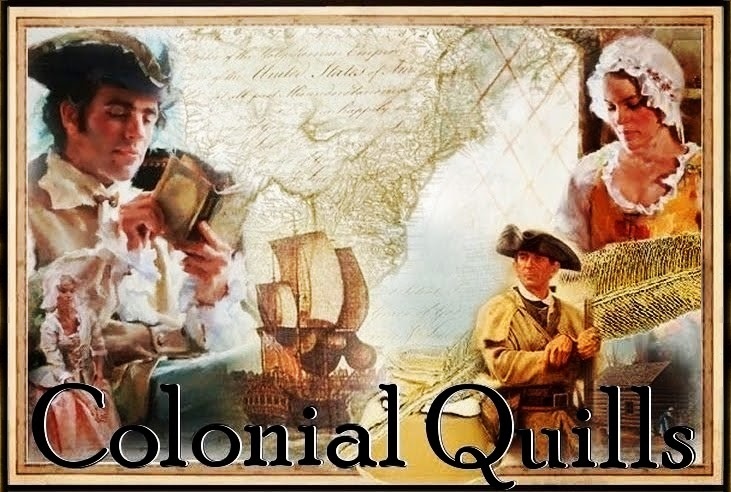 I am also blessed and feel privileged and honoured to get connected with you as well as know your interest in sharing about the Colonial forts and your visit to New York Colonial fort with the pictorial presentation speaks of it. I LOVE GETTING connected with the people of God around the globe to be encouraged, strengthened and praying for one another. I have been in the PASTORAL MINISTRY for last 39 yrs in this great city of Mumbai a city with a great contrast where richest of rich and the poorest of poor live. We reach out to the poorest of poor with the love of Christ to bring healing to the brokenhearted. We also encourage young and the adults from the west to come to Mumbai to work with us during their vacation time. Since travelling is one of your interest we would love to have you come to Mumbai or your grown up children to come and work with us during your/ their vacation time. I am sure you/ they will have a life changing experience. Looking forward to hear from you very soon. God's richest blessings on you, your family and friends. My email id is: dhwankhede(at)gmail(dot)com and my name is Diwakar Wankhede. Wow! What a great trip! It is fascinating to learn about the turtle and the 13 months. It seems simpler and logical to me. Looks like you had loads of fun. A great thing to let your grandkids experience history that way. I used to love the historical jaunts my mother planned for our vacation trips every summer when we visited my father’s parents in Pennsylvania. Thanks for the post.